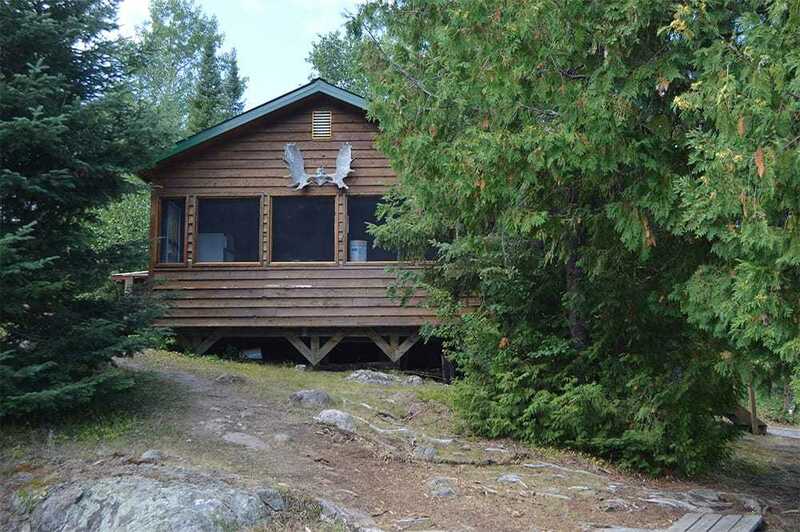 GHOST RIVER LODGES is located on Marchington Lake in NORTHWESTERN Ontario. 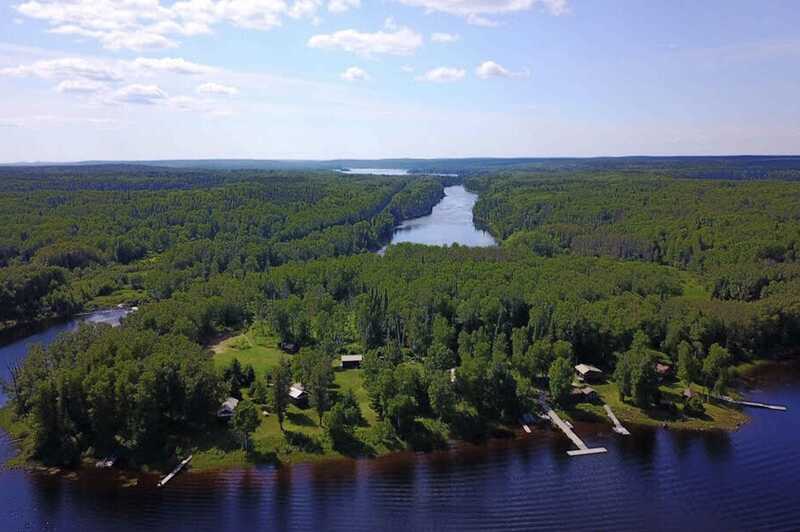 The fishery is fed by seven main river systems and is surrounded by fourteen other remote portage lakes; All of which are accessible by short portage or river system. THIS TRIP GIVES YOU THE CHANCE to do some great private fishing without having to pay the cost to fly in. 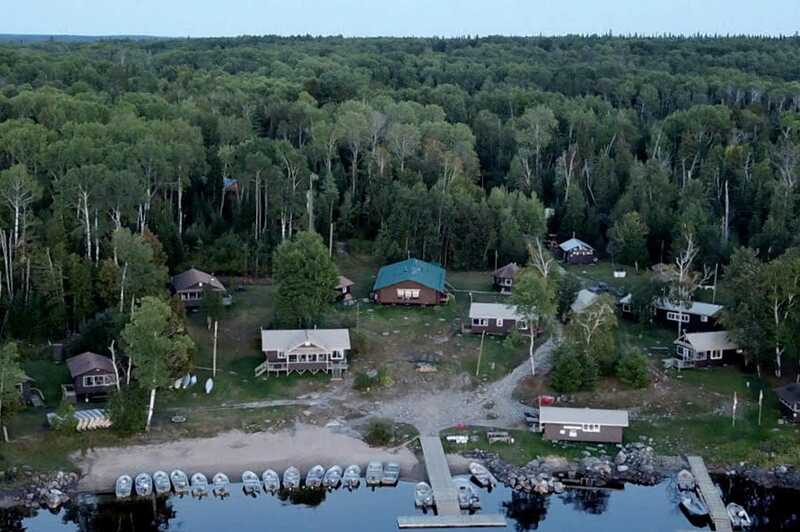 Ghost River Lodges is located in the Canadian Wilderness on Marchington Lake in Beautiful Northwestern Ontario. 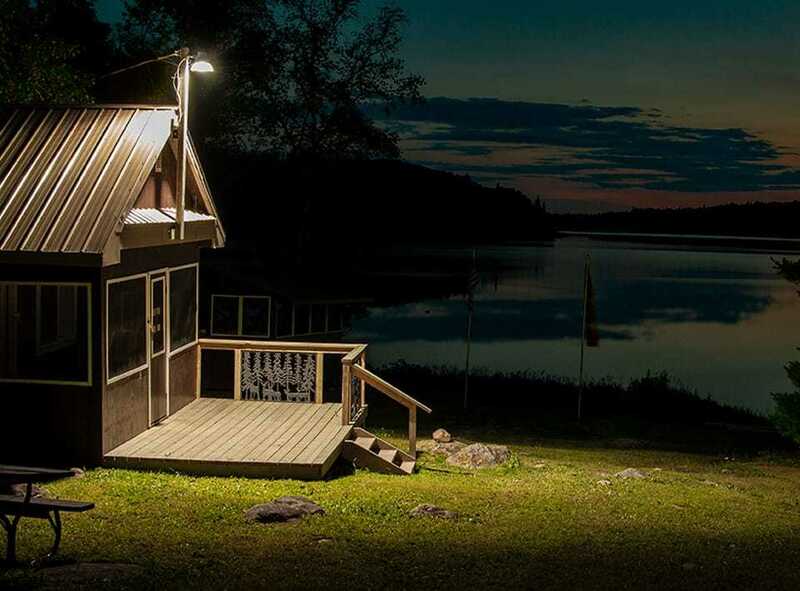 Ghost River Lodges’ eight fully modern cabins located near the water’s edge can comfortably accommodate 2 – 12 people. Each cabin is well equipped for cooking, featuring a propane stove, utensils, pots & pans, and refrigeration. Flush toilets and showers are provided in all cabins for your comfort and convenience. Located just above the breathtaking McDougall Falls on Marchington Lake, Sturgeon River Lodge offers six fully modern Housekeeping Cabins. 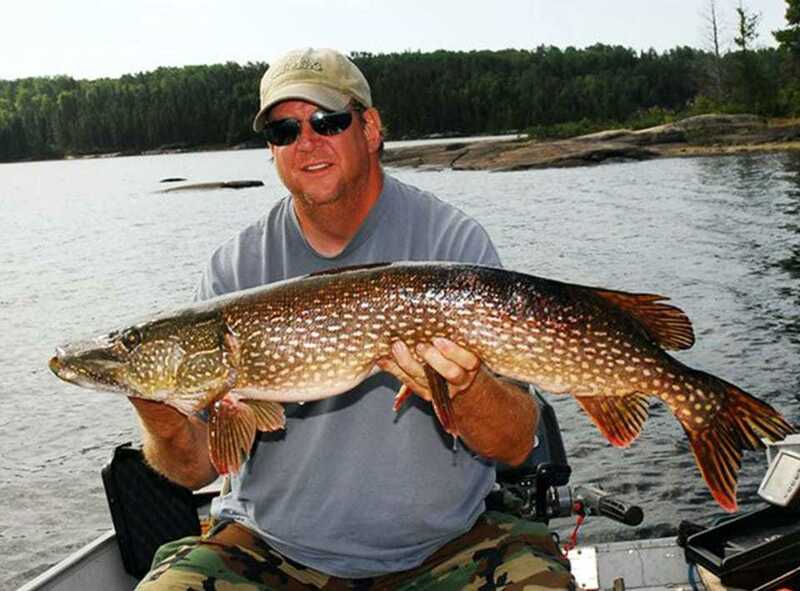 We are minutes away from the famous Rock Tunnel, through which you have access to great walleye, northern pike and lake trout fishing on our remote chain of lakes. Sahlin’s Outpost and Fred’s Outpost are fully modern cabins accommodating up to 12 people. These outposts offer groups a private setting in which to enjoy the beauty of the area. We offer 14′ Lund Boats with 15 hp motors for two people and 16′ Lund Boats with 25 hp motors for three people, complete with swivel seats and anchors. 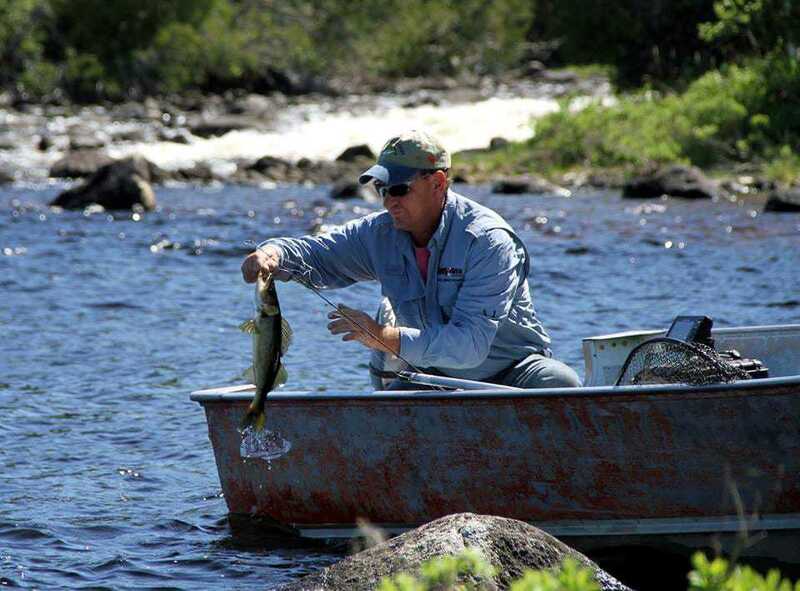 If you chose to fish on our outlakes, boats and motors are waiting for you on the other side of the portage. The nice thing about our outlakes is that they are all accessible from lodge by boat, and we do not charge extra for fishing on the outlakes. 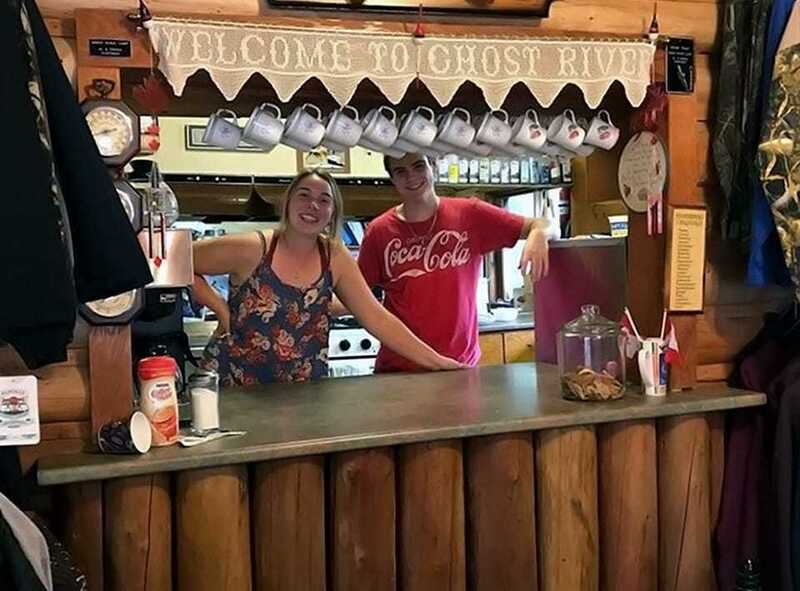 Ghost River Lodges are the ONLY lodges on the Marchington Lake chain, offering outdoor enthusiasts spectacular fishing, beautiful accommodations, and great Northwestern Ontario hospitality! Choose from our wide selection of cabins and outposts on Marchington Lake, to comfortably accommodate any size group. Enjoy a tasty home-cooked meal at the lodge after your days’ adventure on the water. Our Modified American Plan includes a cabin, boat, motor, 5 gallons of gas per day, evening meal and portage in and out from car to lodge. Please see our rate sheet for pricing information. Our lodges are situated on Marchington Lake which collects fresh water and feed from 7 main rivers. Marchington Lake is surrounded by 14 other lakes which are accessible via river or portage to give you the opportunity to do some great private fishing. You never have to fish the same place twice and you’ll have the opportunity to see a different lake every day. IN OUR NORTHWESTERN ONTARIO FISHING LODGE. We are more than just the average Canadian fishing adventure. We offer great fishing, clean accommodations, awesome hospitality, and friendly service! 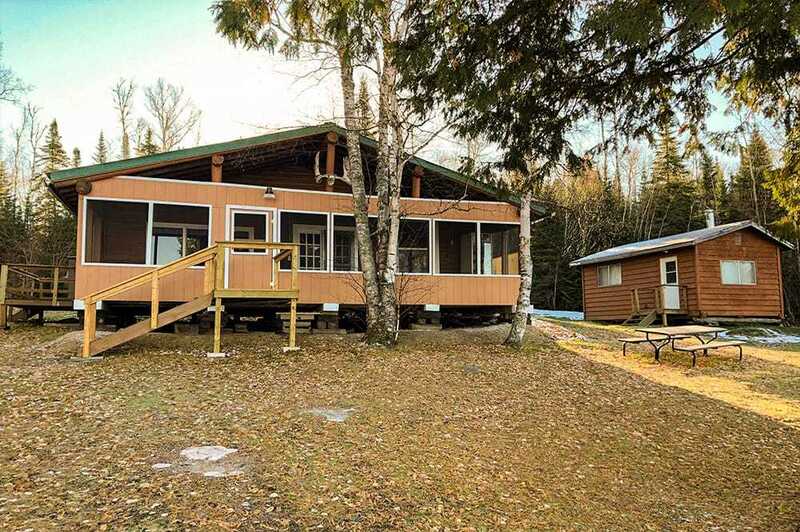 Ghost River Lodges, Your Northwestern Ontario Fishing Lodge on Marchington Lake. Check Us Out On These Great Tv Shows! Make Memories That Last A Lifetime! Book Your Next Adventure At Ghost River Lodges. We are a remote Northwestern Ontario fishing lodge located north east of Sioux Lookout, Ontario, Canada. Offering great walleye, northern pike, lake trout, and some smallmouth bass fishing. All our lakes are private with NO ROAD ACCESS.